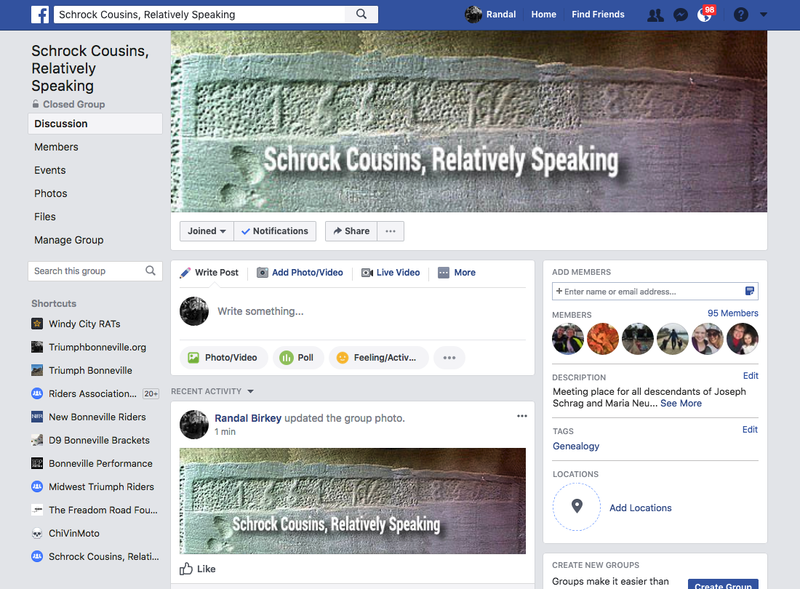 For many years there has been a question about how the surname of a number of Schrag families morphed into something quite different—at times Schrack, Schraque, Schrager, or Gerach, Gérard or Serach. One Schrag decided to complain. In the year 1863, one Christophe Gérard born 21 Feb 1834 in Rozières-sur-Mouzon, Vosges, FR, now a miller living at Goncourt, Haute Marne, came before the civil courts in Meuse to rectify a problem of which he had recently been made aware. He explained that when appearing before the court to receive documents for his soon marriage he was shown his parents’ death documents, and was surprised to find their surnames written Gérard—not Schrag. But the name Gerard appeared only in French documents—never in the minds of those documented. The moulin (mill) at Goncourt where Christophe lived and worked in 1863 at the time of his appeal for surname change (www.cparama.com). Used with permission. Christophe was a descendant of Caspar Schrag born 1685 in Leumberg, Wynigen, Switzerland, through Caspar’s son, Ulrich Schrag b. 1714 in Zweibrucken, Germany, and Ulrich’s son Andre Schrag b. abt. 1749 also in Zweibrucken—no Gérards among them! Recently, Joseph Staker, researcher of Anabaptists in Tazewell County, Illinois, alerted me to a document held in the Meuse France Archives (Chassey NMD (1863-1872) that can be found online through the Archives Départmentales de la Meuse, archives.meuse.fr.). The document goes into detail about how Christophe’s family surname change came about. Upon learning of this error, Christophe explained the urgency of correcting the mistake as he intended to soon marry and wanted his surname changed to Schrag, as well as those of any other relatives whose name was registered as Gérard. Thus, Christophe “came honorably and respectfully before the court, ”requesting that the records of his father, Christophe Gérard who died in Chassey 26 Dec 1850, and his mother Marie Gérard who died in 1843, be changed. He pointed to a court Article 855 to ask that the death record of his father Christophe on 26 Dec 1850 be made right, changing his surname from Gérard to Schrag, his birth name. Christophe’s position was that the error could only be explained as “bad pronunciation.” He further claimed proof of the error was also shown in the death record of his mother, Marie Gérard, and in the birth records of his siblings. The mayor and civil officer of Chassey heard several witnesses. A forest ranger and a farmer, with their two sons, declared that on the previous day they had visited in the home of Mary Bernard, age 85, daughter of Sir Dominick Bernard, who gave witness for three of the children of Christophe and Marie: the birth of Joseph Gérard, and the birth of Nicolas and Madeline, brother and sister of Christophe. Birth record of Christophe 21 Feb 1834 in Rozieres-sur-Mouzon, Vosges and documented on the 22nd. Death record of his mother Marie Gérard on 15 Nov 1843 in Vouthon-Bas, Meuse. Birth record of brother Joseph 16 Feb 1836 in Rozieres-sur-Mouzon, Vosges (the civil document mistakenly described Joseph as “father”) . Birth record of brother Nicolas on 3 Jun 1839, and of sister Madelaine on 16 Aug 1842 in Vouthon-Bas, Gondrecourt, Meuse. As a result of the hearing, the death record of Christophe Gérard who died 26 Dec 1850 was to be rectified to the name of Schrag that was given him at birth, replacing the one of Gérard recorded in error. The Imperial prosecutor declared the changes must be made in order to satisfy the plaintiff’s legal right to do so. The judgement was registered in the death records of the current year in Chassey, and was also mentioned in the margin of father Christophe’s original death record. On Tuesday April 11, 1863 the record was changed and made public by officers of the court—thirteen years after his death. And finally, on 28 Sep1863, at Valfroicourt, Vittel, Vosges, Christophe Schrag married Marie Kislig. This particular Gérard mistake wasn’t discovered and rectified until late in the 1800s, but the surname error began much earlier and went much further than Christophe’s family—my earlier Schrag family members living in the Sarrebourg area were recorded with the surname Gérard. My ggg grandfather Johannes Schrag’s Moselle marriage record in 1826 records his surname as Schrack. Siblings Johannes’, Peter’s and Magdalena’s Moselle birth records give the surname Gérard—all in 1801, 1802, and 1811. Brother Peter’s 1827 marriage record in Meuse is Serach.